and on the the Challenge Document. Work on these using what you have learned. Watch this video about constants and variables. Watch this video about displaying variables on the screen. Watch this video about displaying the motor speed on the screen. Notice that the videos would have been easier to follow if the programs had been annotated. read by the Color Sensor. 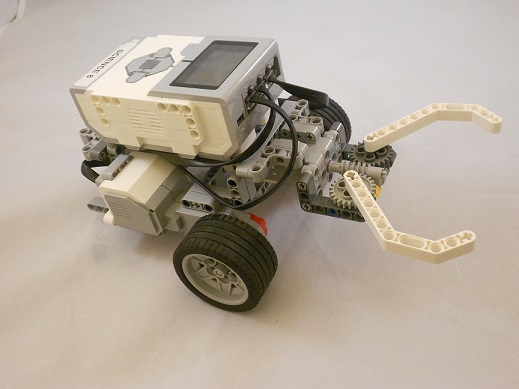 Add blocks to make the robot display the sensor readings on the EV3 screen. Run it and make sure that it works, and show me. can explain how all the math blocks work.Test it and make sure everything works. Show me. If you have done both of these in, go through this lesson on PID Line Following. Then create your own PID Line follow program, test it, and show me.